This is another excellent police procedural that builds on the strong characters and setting of the first volume. It is just the right length for us to hit a few dead ends and mysteries in solving the crime as well as learn more about the station and pick up titbits about Earth and Mars too. The characters were well defined in the last book so now we get to follow their developing relationship. And there is another almost epilogue as Dietrich advances his own agenda. The art is the same as the original and all our regular characters are well drawn and expressive. The book is basically talking heads but the art and layout don’t take it easy with creative touches sprinkled throughout. This is a superb work. The only weak point is the reveal of how it was done at the end. This isn’t bad or clumsy but considering the elegance and flow of the build-up it feels less sophisticated than it should with the pacing grinding to a halt. 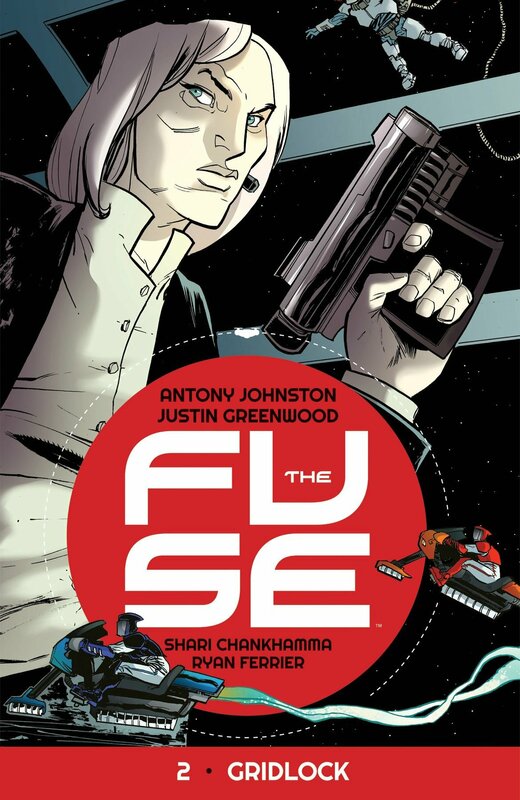 This entry was posted in Graphic Novel and tagged Antony Johnston, Thumbs Up! by 365gn. Bookmark the permalink.